Shower Curtain shower curtains include a selection of different stylish and custom-made designs for your bath decoration. 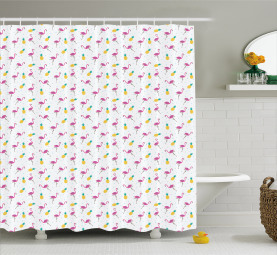 Flamingo and Pineapple Shower Curtain Shower Curtain in Shower Curtain category will add a chic and creative decor element to your bathroom with its bright Shower Curtain color. With different size options from 175x180 to 175x240, unique shower curtains collection by Abakuhaus is accessible by everyone with its affordable price. 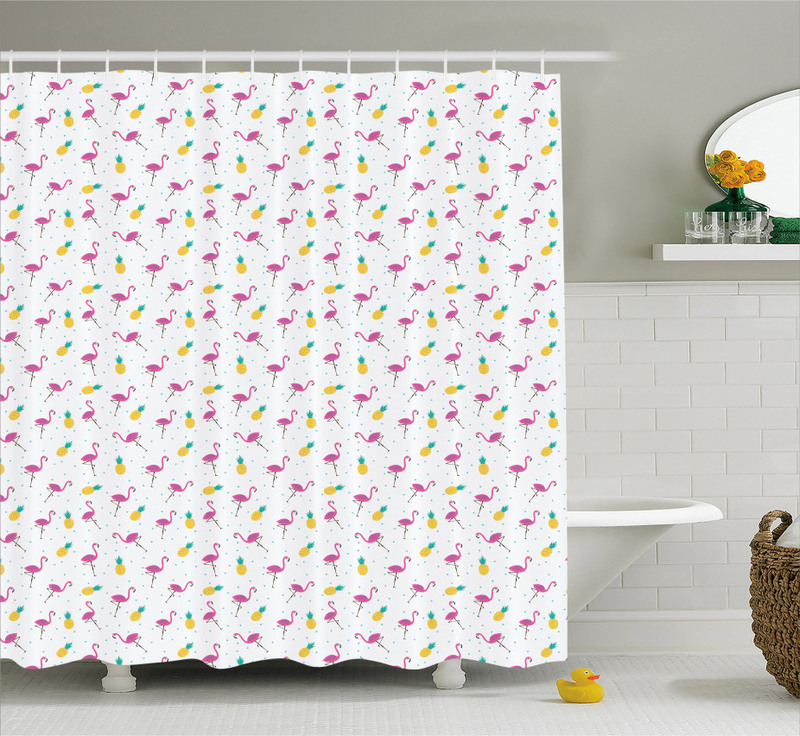 Shower Curtain themed Flamingo and Pineapple Shower Curtain Shower Curtain will create a brilliant atmosphere in your bathroom with the only €23.99. As an online shower curtain shop, Abakuhaus offers you hundreds of fashionable bathroom curtains for every style. Buy now the high-quality bath curtains, prepared by 3D printing technology and enjoy your dream decoration in the bathroom. Due to manual measurement, please kindly allow 1-2 cm discrepancy. Machine wash on cold delicate cycle with mild detergent and water; Do not bleach. Iron on low heat from the back of the tablecloth if needed.